[By Nick, new for 2014] Seeing as I already reviewed and enjoyed their Jamoca bar, I think the best way to break into Baskin-Robbins new faux-pints would be their Jamoca Almond Fudge ice cream. 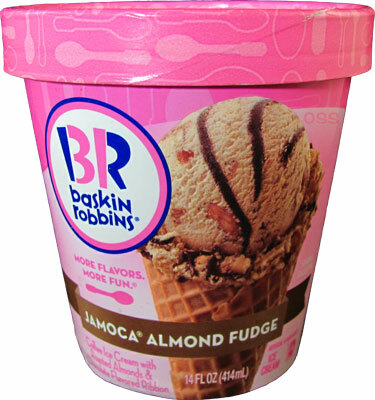 Jamoca Almond Fudge is one of Baskin-Robbins signature flavors if I remember correctly and the packaged version sounds like a close replica of the in-store ice cream. I’m going to be up front, I don’t exactly like roasted almonds all that much. I prefer them raw but if they’re roasted, I’d rather they be cocoa roasted like the ones Emerald makes. Hopefully the roasted qualities of the almonds will blend right in with the flavor of the coffee ice cream. While not the prettiest looking ice cream, you’re able to see all of the components right off the bat. The almonds look like they’re a decent size and the chocolate ribbon like it has some thickness to it. Well I was right with the bars. The ice cream is right on the border of super-premium territory. Think of it as a denser, more premium version of Blue Bunny‎. However, the flavor of the bar and the base of this ice cream are completely different beasts. 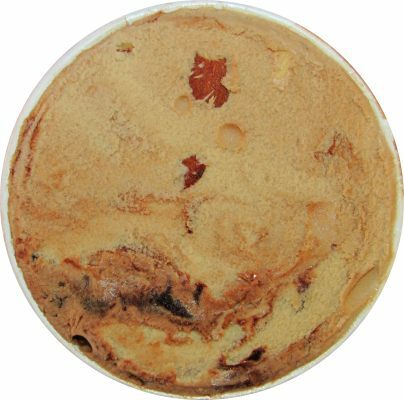 While the bar was bold and more on the black side, this ice cream is milky with a less assertive coffee taste. I've grown to like both kinds of coffee ice cream but I wasn't expecting the flavors to be so different considering that they share the same name. The chocolate swirl adds to that sweetness giving this one more of a mocha profile. It's funny how I typically complain about the consistency of companies that promise fudge swirls but that are more like syrup. Well Baskin-Robbins' chocolate swirl is actually the proper consistency of fudge when I was expecting something syrupy. The thickness of the swirl helps to intensify the rich milk chocolate flavor, almost canceling out the coffee base at times. 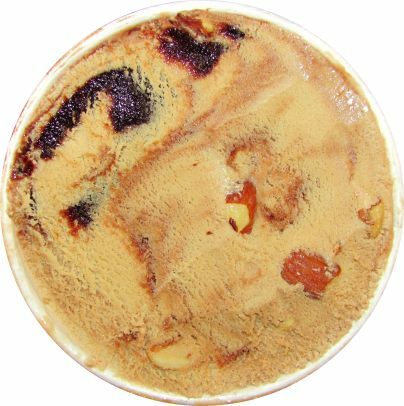 I used to love buying this ice cream from B&R years ago but also hated the almonds. I used to spit them out which I guess kind of defeats the purpose! Glad to hear the base is still good tho. My very first time ever having coffee flavored ice cream was when I was about 10 years old at Baskin Robins, so having this flavor in a pint really brings back those memories for me. I would never purchase this though because I absolutely despise nuts in my ice cream. But I do remember loving the coffee base since it wasn't too bold. 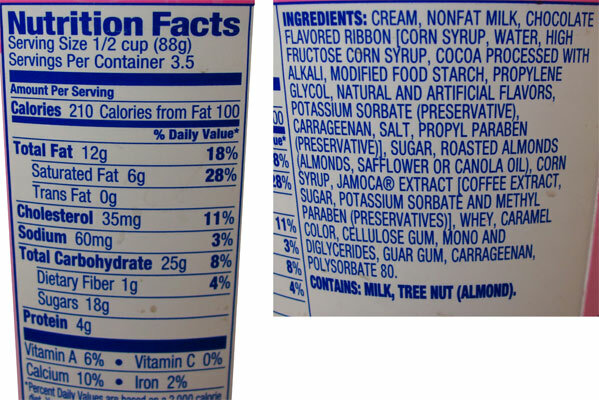 Anon & Stride, I feel like this flavor would be awesome had they gone a mud pie route and swapped the almonds for oreos. Nick, I agree. Substituting Oreos for nuts sounds awesome!